11h Daniela Williams, Collecting forgeries to train the eye: fake coins in 18th century numismatic correspondence. 11h30 Guy Meyer, Sur les différents moyens de reproduire les monnaies (plomb, souffre, etc.). 12h Michiel Verweij, Speaking about manuscripts. Unpublished works in correspondence. 12h30 Johan van Heesch, The Missing Caesar. Inventing coins for Otho. 4h30 Federica Missere Fontana, Di vizi e di virtù. Di Pertinaci e di Didii, di Pescennii e di Gordiani. 15h John Cunnally, Two Centuries of Collecting, Describing, and Explaining Contorniates. 15h30 Ute Wartenberg, The English tradition of archaeological hoard recording in 17th century England. 16h30 Andrew Burnett, Queen Elizabeth and the Twelve Caesars: a forgotten correspondence. 9h30 Ursula Kampmann, The network of a collector: the Schellenberg example. 10h Elena Vaiani, Peiresc and the coins through his correspondence. 11h Maria Cristina Molinari, The story of Francesco Gottifredi’s unpublished book through the analysis of the letters of his contemporaries. 11h30 Marco Callegari, About books and coins: the letters of Charles Patin to Giulio Antonio Averoldi between 1679 and 1693. 12h Jean Guillemain, La mauvaise réputation de Jean Hardouin à travers les correspondances numismatiques. 14h Manuela Mayer, Antiquarianism and the “Republique des médailles”: some examples from Göttweig Abbey, Lower Austria (ca 1720-1740). 14h30 Bruno Callegher, « … e non vi vien voglia di venir a veder tante gran cose delle quali son certo che ne resterete pago?”. Fortunato Mandelli (1728-1797): collections et correspondances numismatiques. 15h Bernhard Woytek, Publishing the “Doctrina Numorum Veterum”: the evidence from Eckhel’s correspondence and other contemporary documents. 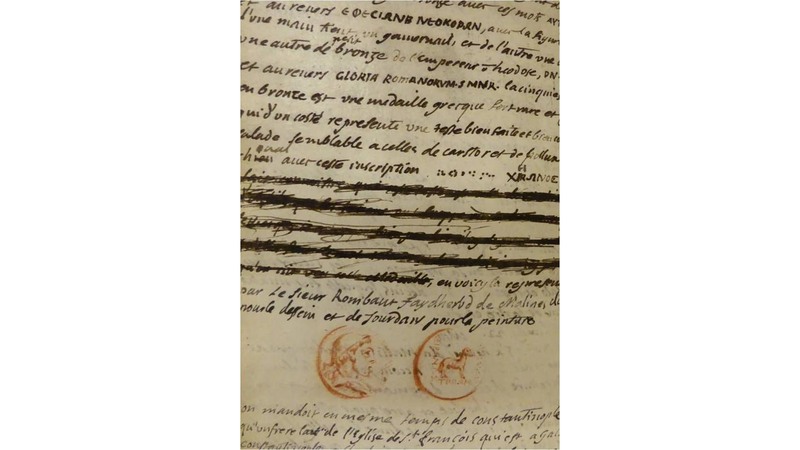 16h Jonathan Kagan, Unpublished numismatic material in the Kagan Collection New York from the Renaissance through the Napoleonic period: manuscripts, letters and drawings. 16h30 Martin Mulsow, Numismatic Antiquarianism: Coins from the Ancient East in Early Modern Europe.